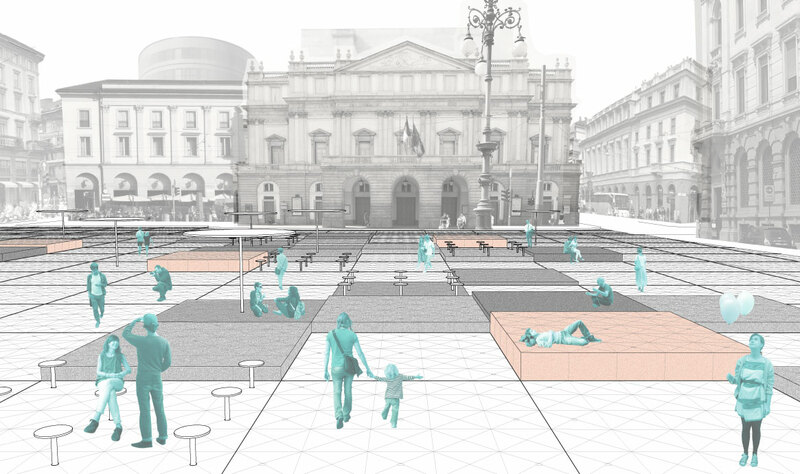 Proposal presented at the international idea competition “Piazza della Scala”. 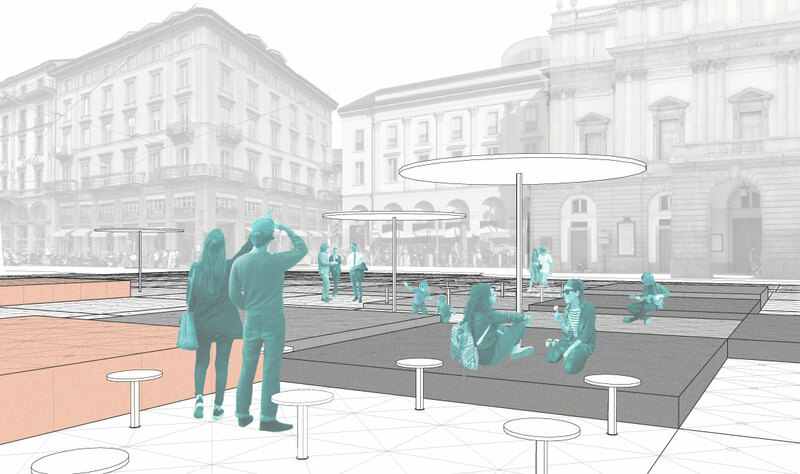 The project transforms Piazza della Scala into a place that people can experience and animate. 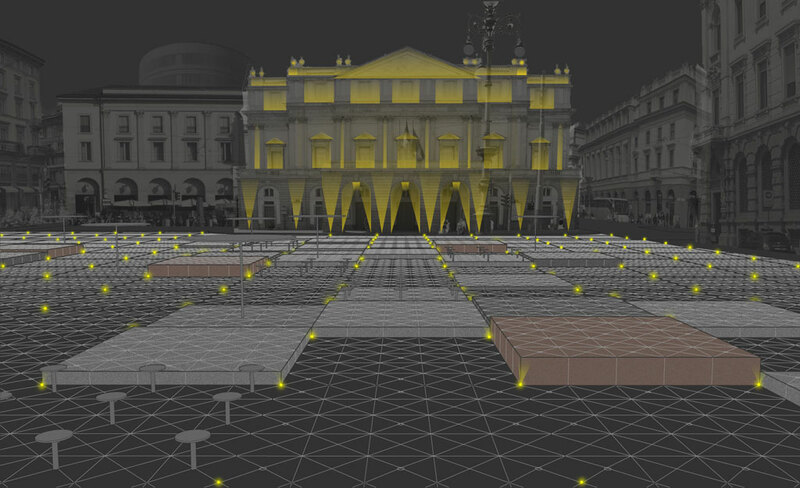 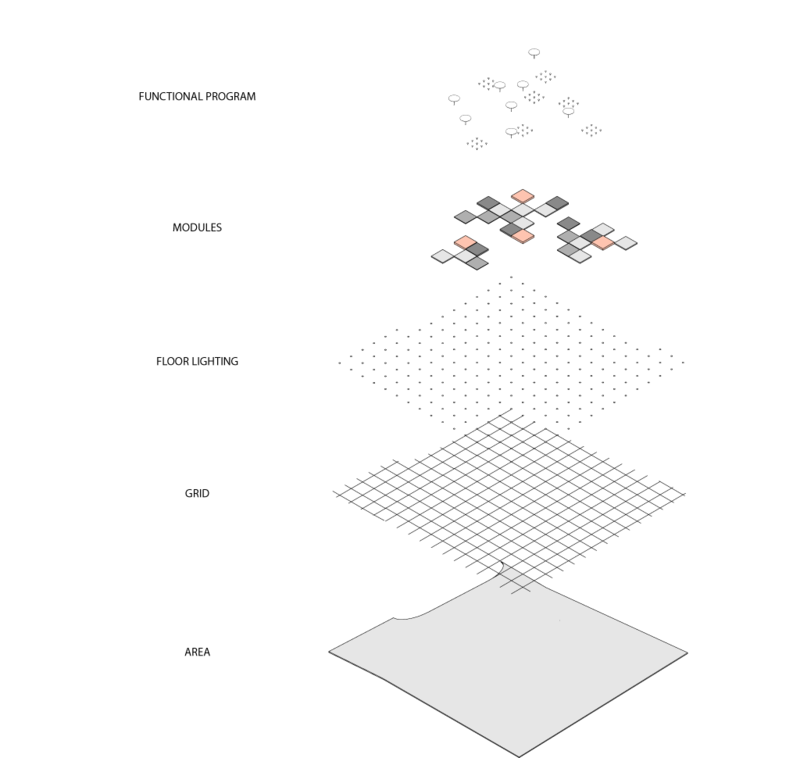 The relation of the square with the surroundings is restored through a classical grid that extends to the facades while keeping a respectful distance from them. 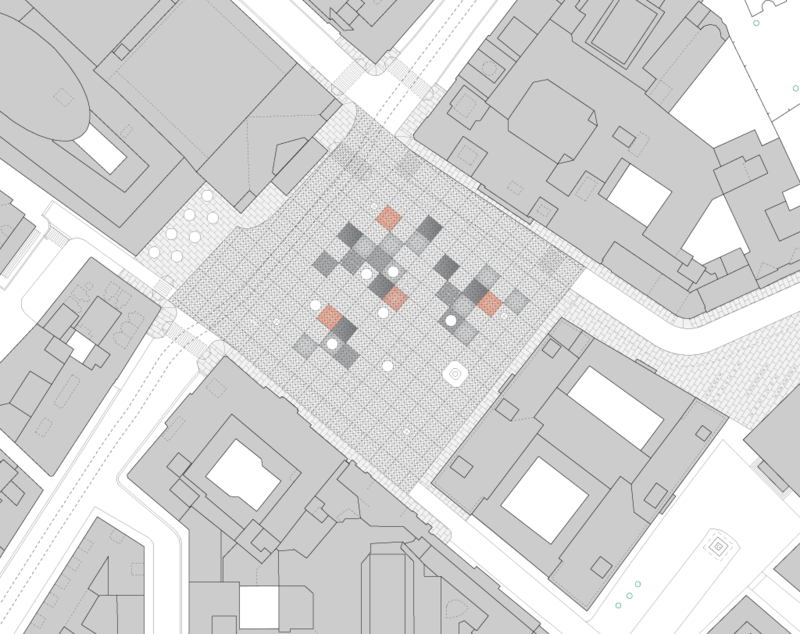 Different types of modules extruded from the grid create an urban landscape. 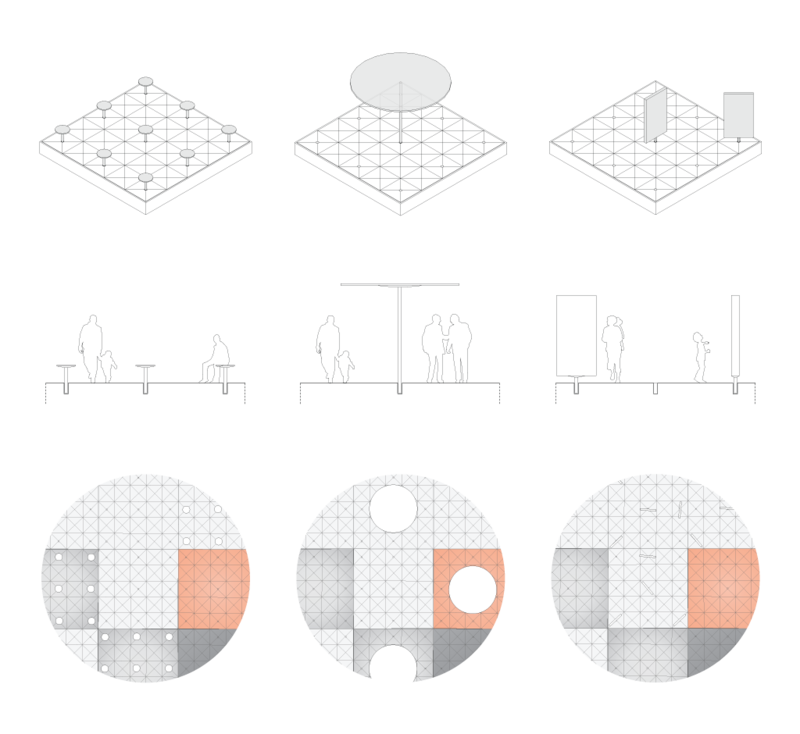 They can be equipped with seats, sunshades or exhibition panels. 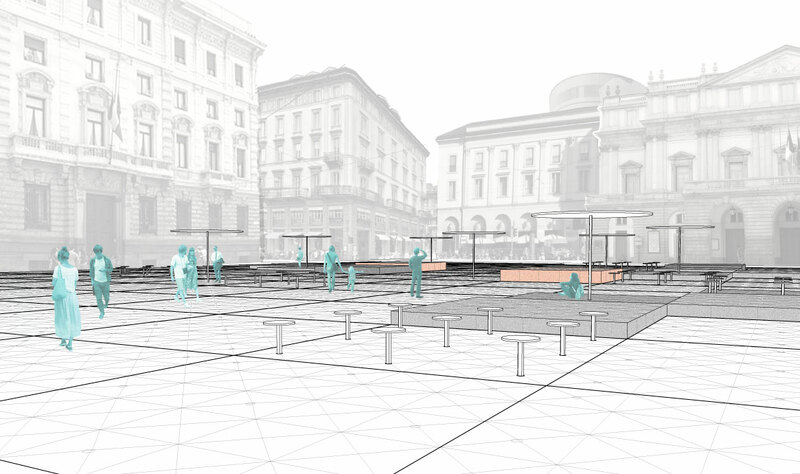 The project gives to Piazza della Scala new life.